LED Lighted Wall Art Gift Ideas: Make Someone’s Day Brighter! 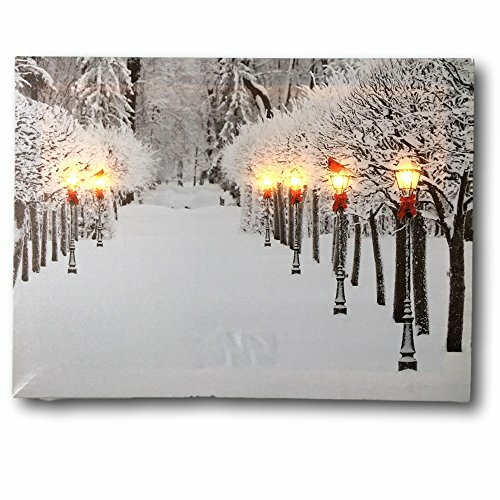 Check out my latest Christmas gift – a piece of LED lighted wall art to hang up! Sometimes I don’t go through presents right away; for awhile I had put it in my closet (temporarily) but my curiosity got the better of me, plus I was in the mood to do a little changing of the art 🙂 hahaha. This was perfect because there’s no time like the winter time to add a little razzle-dazzle into your home environment! 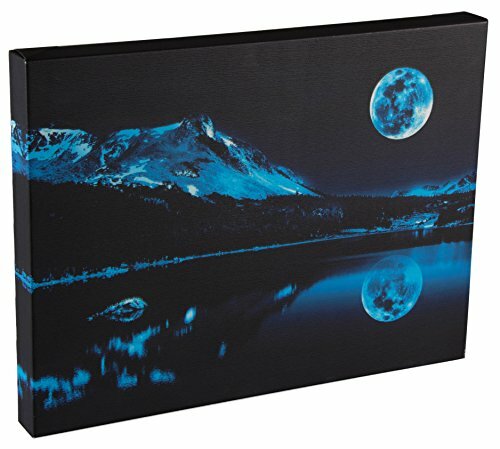 Canvas pictures with led lights built into them make great gifts so if you know anyone with a birthday or other milestone event coming up this is a great idea! Light Up Art Makes a Great Gift! 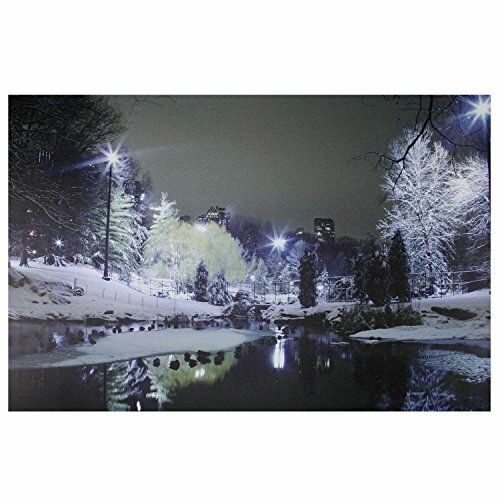 This Wall Art Canvas Has Twinkling LED Lights! 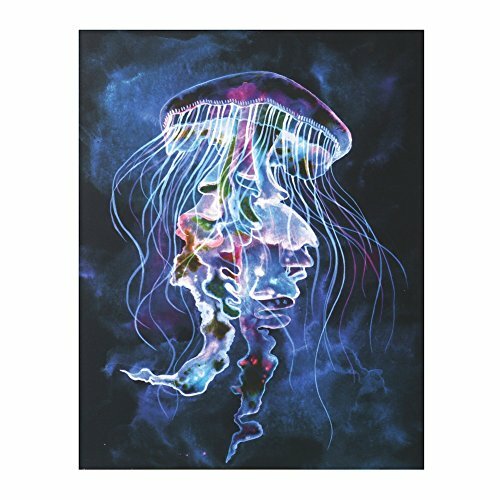 There Are Lots of Different LED Canvas Wall Art Scenes To Choose From! I’ve got several more like this – one a summer scene and another a fall scene. I’ve given these as gifts too! Last year I gave one to my in-laws and another to cousin-in-laws and they loved them (One of them severely lacked for wall decor, but shhh…that’s between you and me!) Although I like to paint, I find these complement my own wall art very nicely. But first, let me tell you all about mine so you can see for yourself just how cool these are! This is a real piece of artwork – two deer in a snowy forest. I have no idea if this is screenprint, giclee print or how it was done but as you can see it’s very realistic, and tasteful looking. You need batteries for these – All of the led canvas pictures I own, including this one, operate on batteries to light up. The compartment is in a slot on the back. Yes, in this case batteries were included 🙂 Usually they are so you don’t need to buy them. In the event that they need to be replaced, all of them take AA batteries. My fall/summer picture is kind of big and it takes 4 double A’s. This canvas is 13″ by 17″ upon measuring. A nice size…there are different sizes to choose from, big, medium, small, regardless of the size of the room you want to embellish, there is something to fit your needs – and taste. Some pictures have steady glowing lights, others have the kind that twinkle! Check it out…My deer picture twinkles! They look blue and green. Gosh, I wonder how these lights are rigged? The back of the canvas shows cardboard so I have no idea how the lights themselves are arranged. Who knows….maybe someday I will figure out how to rig one of my own canvases like this? It looks even more sparkly when I turn off the lights in the room. Wow….how cool is this, right? If you’re anything like me, you may forget to turn them off at the end of the day you may enjoy them that much. Note: Some of these pictures come with timers…. (Mine do not) so if you forget, no problem – the lights will go out before you remember! This is my fall leaf scene picture…..At the moment something happened and the battery compartment got messed up (It’s got some dark meshy looking cover on the back but I can peek through and see the light strand. I don’t know what happened to it, but since I love fall scenes I still keep it hanging up. 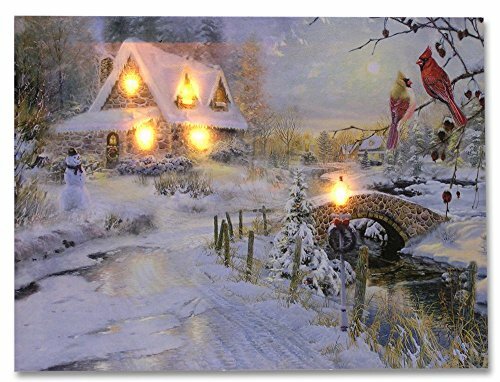 Whether you enjoy nature, cityscapes or impressionist art (yep I’ve seen those too) there is a picture with lights just for you. 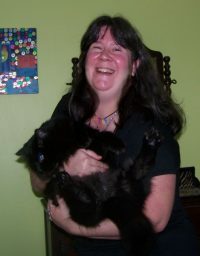 No surprise it made my top ten list – it’s a great gift idea. Even people who aren’t gung-ho about art will enjoy hanging up one of these in their room or office if you find a scene that suits their personal taste and home decor too. 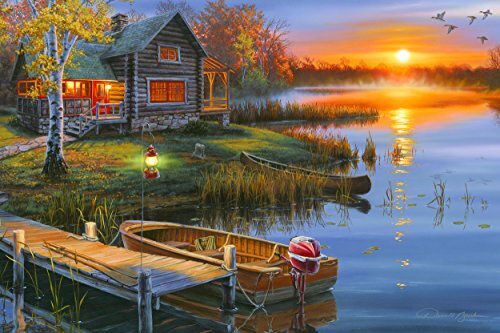 Personally I love nature and anything that shows trees, foliage, pretty cottage scenes best. So what are you waiting for, get one and brighten someone’s day today!